Radio West was a popular station which began broadcasting from Mullingar in Co. Westmeath in 1982. On low power initially on 1071 kHz, it bought Radio Nova’s original 10 kW transmitter and moved to 765 and then 702 kHz where it remained until the end of 1988. By 1988, it also had a series of low-power FM transmitters and was boasting that it could be heard in 23 of the 26 counties. It even re-branded itself as ‘West National Radio 3’ and perhaps saw itself as a contender for a national commercial station as the licensed era approached. West also had an AM relay on 711 kHz covering Co. Galway and this promo from 1988 is aimed at attracting Galway businesses to advertise. Its owner Seán Coyne was involved in the licensed Galway station of the same name in the early 1990s. 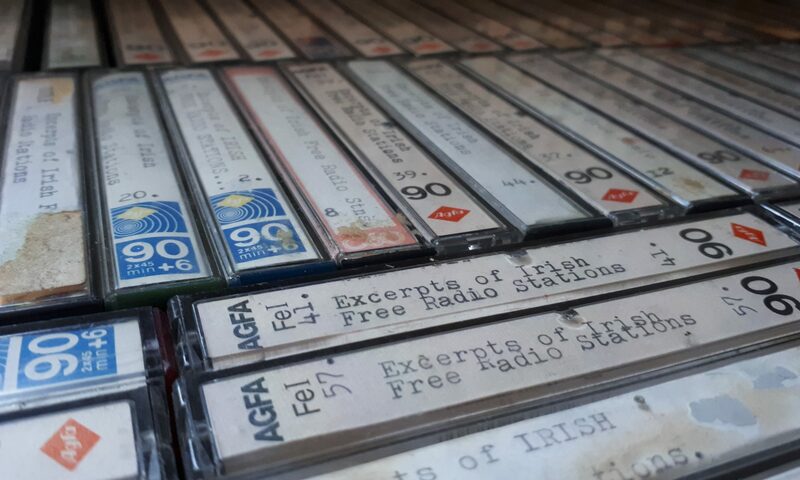 Radio West was eventually re-branded as Galway Bay FM. Here is the introduction to the 6pm news from 30.08.88 including the end of an ad for Dunnes Stores, the top of the hour ident voiced by Derek Flood and the start of the news with Kevin Palmer. The end of the 6pm news of the same date including part of the mart report for Tullamore. Radio West took its rural audience seriously and had regular mart reports for farmers. More airchecks from 1988 including ads and jingles. A jingle and news sting from 1987. 96.3 FM was just one of many FM frequencies used by Radio West. A Tony Allan ident emphasising the ‘national’ coverage. In this fascinating interview with engineer Gerry O’Reilly, the Radio West 10 kW transmitter is discussed.